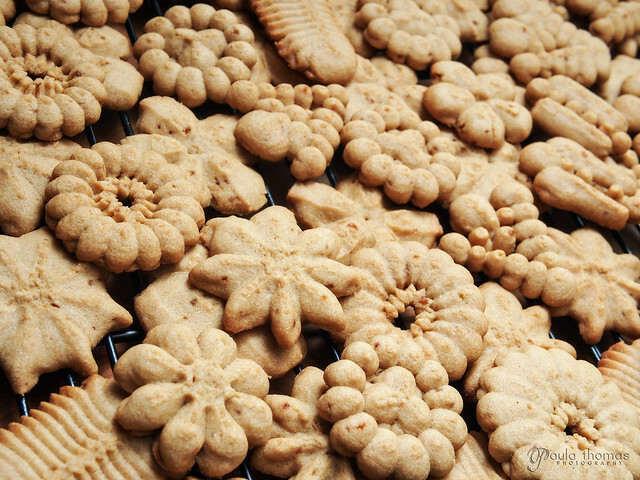 When I was kid we had a tradition of making spritz cookies every year. It was one of my favorite holiday traditions. I loved picking out the shapes and still do. You can come out with some different shapes even out of one template by pushing out more or less dough. I haven't made these in the last couple of years since I changed my diet but this year I decided to try making gluten free ones using raw coconut crystals instead of refined sugar for the sweetener. This is the first time I've used coconut sugar but I've been reading a lot about it. The crystals are made from the sap of a coconut tree and is very low glycemic and contains 17 amino acids. I used Coconut Secret brand that I found at PCC. They are certified organic and non-GMO. The crystals are dark brown, about the color of brown sugar and actually tastes similar to brown sugar. The dark specks you see in the cookies are from the crystals. I followed a recipe I found on landolakes.com but substituted the coconut crystals for the refined sugar 1:1 in the recipe. My first attempt at pressing out cookies was a big disaster. The shape didn't hold at all and was left with a sticky glob of dough on the sheet pan. I didn't give up though. I added more flour to the batter and also refrigerated the dough for about 45 minutes to firm it up. Tried again and it worked out pretty well. If you've never had spritz cookies before, they are similar to shortbread. They're kind of dry and crunchy and should be eaten with a big glass of milk! 1. Combine crystals, butter, egg, salt and vanilla in mixing bowl and beat at medium speed until creamy. 3. Refrigerate dough for at least 30 minutes. 5. 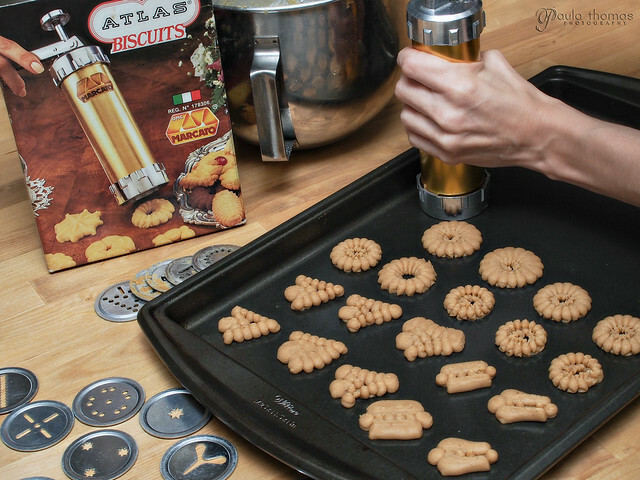 Fill cookie press with dough and desired template. Press dough 2 inches apart on ungreased cookie sheet. If dough does not form a shape, refrigerate longer and/or add more flour to the dough. 7. 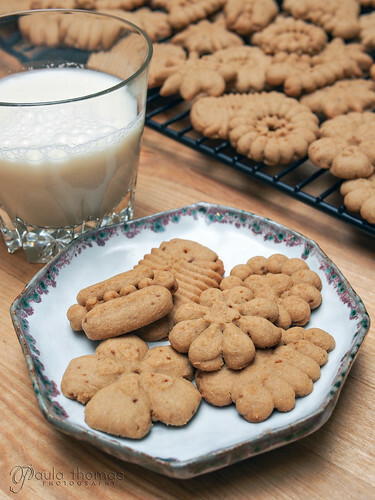 Enjoy cookies with a glass of milk.